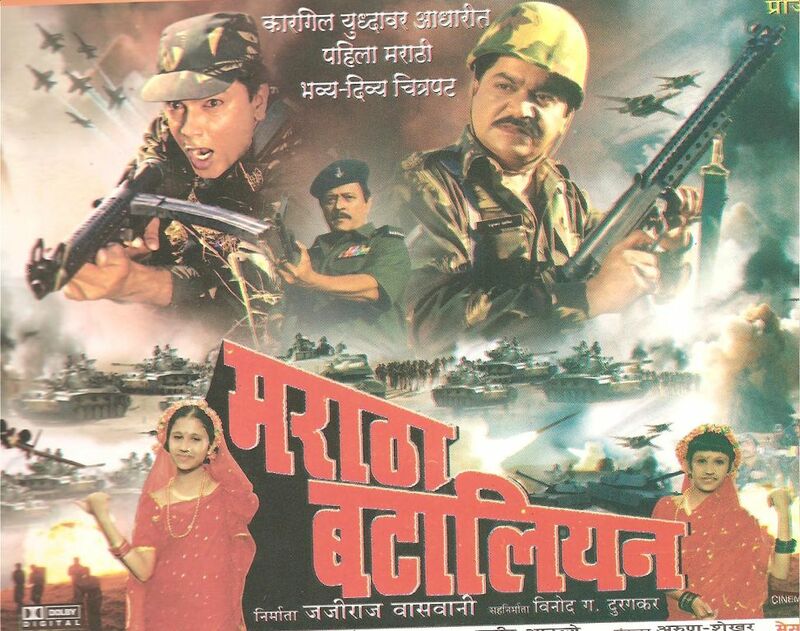 This Marathi film " Maratha Battalion " was the first Marathi big budget film, and also the first War film in Marathi. The Star cast of the film was huge, like Laxmikant Berde, Kuldeep Pawar, Ramesh Bhatkar, Alka Kubal, Vijay Chavan, Bharat Jadhav, Deepa Parab, Sandeep Bansali, Ragvendra Kadkol, Deepak Shirke, Ravindra Berde and many more. Director - Nagesh Dharak, Producer- Late Jijiraj Vaswani. This film was a complete entertainer, a very patriotic, I had met few young boys in Jalgaon who were so inspired after seeing the film that they joined the army. I played the character of Amar Bhosle.one of my favorite Role till date. enjoy every bit of it, I had put my heart in the character. The song selected for this performance was " Pahile na me tula, tu mala na pahile " from the film Gupchup Gupchup Directed by Mr. V. K. Naik, the actors on whom this song was pictured were Ranjana and Kuldeep Pawar. I immediately said yes to Mr. Mahesh Tilekar when he asked me to do a performance in his show " Tare Taraka ", firstly it was Naik saheb's film song on which I was suppose to perform, and secondly Mr. Mahesh Tilekar showed confidence in me. Sameera was excellent in the performance, I still feel that she deserved a better dancing partner . Anyways she had no choice . Better luck next time. But I really enjoyed performing with her, she is very talented, intelligent and a good soul.. All the very best to her for a brighter career. Thanks to Choreographer Kartik ( Grandson of Subal Sarkar ) he gave me lot of confidence to perform without him this would not have been possible. The unique thing about this programme was , it had 21 males Marathi film stars and 21 females Marathi film stars, old and new, performing for the first and the last time together on one stage. this programme was held in Poona. The tickets of this houseful show were blacked outside the auditorium. Ramesh Bhatkar loved my performance and he communicated it to me, that was a nice gesture. The producer had a very tough time making this big budget film, earlier this film was Directed by Mahesh Kothare and half way through the shooting shopped and then the film was Directed by Nagesh Dharak, That this point I was offered the main role, and the shotting started all over again, Laxmikant Berde was not well that time and we had to shoot on the mountains of Nashik and kolhapur , still he managed, Bharat was not a popular star then so the producer and director didn't give him much importance in the film, cut his role in the middle of the film ( Later when he becaome a star the same producer paid him the maximum price and signed him for a film, that's destiny ) Deepak Shirke who played the Villian in the had to be admitted in the ICU but still against the doctor advice he came to shoot the climax. For me this is one of my favourite Roles, author backed, main role with big names in Marathi industry playing supportive roles. I met to boys in Jalgaon District who had jion the Indian Army after watching this film and My role " Amar Bhosle had inspired to do so. What else an Actor wants ? This showreel was made many years ago, so most of my clipping in it are from earlier films, to make this showreel I really had to struggle to get the clippings from different producer, now things have changed, now many of my films Dvd's are also available in the market.